This month's spotlight is Becca Gollehon! 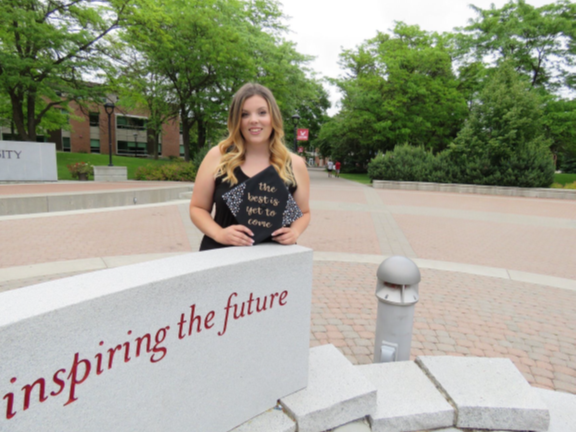 Becca Gollehon is the College Access Coordinator at EWU, helping coordinate PrimeTime in Cheney. Becca was a Volunteer Mentor Coordinator in the Cheney School District for two years and was a mentor for one. Becca says, "after being in the program for 3 years, I wasn't ready to leave." She has made so many connections with students and it has been great for her to see how they've grown over the past few years. She said, "I really wanted another year with all of them, so this position was the perfect opportunity." Some challenges she faced as a mentor was not feeling like she was making a connection with her mentee, or that they didn't like her or the mentoring program in general. However, she recalls later seeing a student the following year and they told her they remembered her and wanted to be in the mentoring program again! Thank you for all your time, Becca!